Congrats! You’re a really cool parent who doesn’t let something like a tiny child get in the way of big adventure. Obviously this isn’t a comprehensive list (that would be a book), but this is a great place to start. 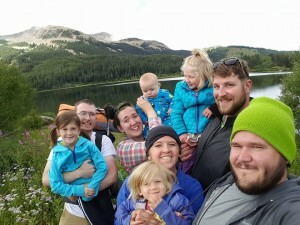 You can’t start prepping too early, but also keep in mind that backpacking with a kid in tow isn’t rocket science; you keep them alive at the minimum, and then anything exceeding that is just extra. 1. How is the baby going to be fed? If your baby is exclusively breastfed, then congrats because this trip is going to be a helluva lot easier. If your baby is formula fed, take into account how much the baby will need, and then consider doubling it (heaven forbid something goes terribly awry, you will want to have your bases covered). If you exclusively pump for your baby, contact me and I’ll send you some tips! As for toddlers, you can probably get away with splitting a dehydrated meal with them. If you are concerned about having enough to go around, consider packing a bag of rice to supplement. 3. 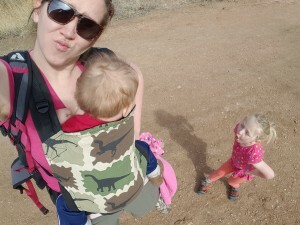 How do I carry my baby/kid? This is one of the first things to start dialing in. You may be tempted by the impressive exterior-framed backpacks such as this (see picture). I know that it looks like the right thing, but then you wouldn’t have enough space for all of your gear (speaking from experience). Those packs are great for long days on the trail, but leave a lot to be desired on a backpacking trip. I highly recommend getting an ERGONOMIC (no crotch dangler) carrier like a Tula or Kinderpack. The exciting thing is that they come in Toddler sizes (Kinderpack goes all the way up to pre-school size), so you can use them for your older kids as well. These carriers are relatively light, and can be used to front carry, which leaves your back free to carry a nice and full pack. DON’T do this! Such an inefficient use of space. 4. But how will we have space for all of our supplies? We will surely DIE! Okay, keep in mind that your babies/kids wear tiny clothes. Also keep in mind that they don’t eat as much as you. Between you and your adult partner (get one of those), there should be no issues covering all of your bases. Also keep in mind that if your child is around six-years or older (depending on health and ability) they should be carrying a large amount of their own supplies, if not all of their own gear. 5. 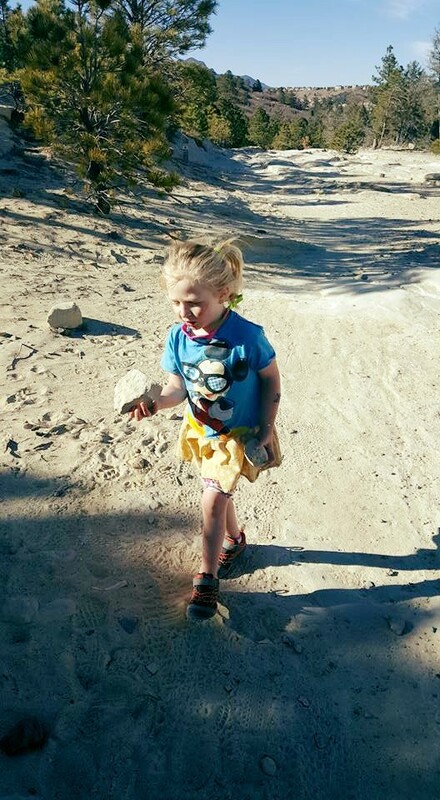 How much should my walking child be able to hike? I’ll go further into this another time, but a good rule is that a healthy kid should be able to hike whatever their age is in miles (i.e. three-years should be able to hike three-miles). That is just the base of their ability, so understand that with proper conditioning they should be able to hike much more than this in a single day. This will vary not only on different abilities, but will also depend on atmosphere and attitude (I’ll go further into that another time). Most infants should be able to jog a fairly fast pace for approximately ten-or-so miles, depending on whether they are wearing Pampers Cruisers or cloth diapers. 6. When should I start getting my kid ready for a big hike? Get training as early as possible. Keep in mind that kids gain stamina very quickly, so you can keep continually ramping up the distance of your day hikes. This not only conditions your child’s body, but will also help condition your temperament (which is by far those most important thing to train). Hiking with kids is different than hiking solo or with adults. Don’t think that slow=bad, because that kind of thinking is insidious and will certainly ruin any trip. 7. LEARN HOW TO BE PATIENT! (Notice my use of caps, italics, bold, underline, and an exclamation mark? That means that I’m shouting, pleading, gesturing, and crying). Try to avoid using phrases such as “Hurry up!” or “We have to keep moving!”Avoid them not because they are inherently bad, or because they will make your kid hate your guts (because your kid will freaking hate your guts if you ruin this), but because there may be a time when you actually need them to hurry (rain, lightning, biker coming down the trail) and you want them to know that when you say those things it’s serious. Ideally, as your kid gains strength and improves their pace, you will gain patience and enthusiasm for seeing them succeed; when these two things peak, then you have a recipe for an awesome adventure. I will literally bite my tongue in order to avoid lashing out at my fair-mermaid doddler. PUT DOWN THE DANG ROCK, YA’ CRAZY! 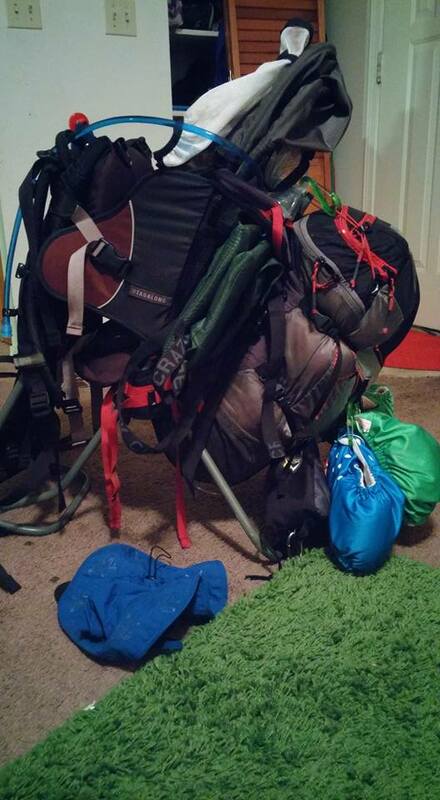 Props to you for planning a trip to the backcountry! It may seem a bit daunting, but just keep prepping and getting yourself PUMPED! Our backpacking group. A six-month-old, two three-year-olds, a six-year-old, and a gaggle of adults. My kids are all grown up probably just a little younger than you and i have jokingly had this conversation with my 24 year old daughter (not married and no lids) who is a world traveler and hiking adventurer. Great info, are you currently planning a hike or on the trail. How ’bout not have them carry anything? Because this is supposed to be *fun*. What’s with all these “should”s? I’m willing to carry as much as will handicap me so I’m at the same capability as my child. Son is gradually taking more, his choice, each time out. OK, it does take some budget to get lighter gear, but with a <15# base weight for myself I was able to carry everything for my son the first time out. Pack loaded with gear for both of us and one-night of food/fuel weighed in at 32#. Soft-structured carriers are great, in addition, *woven* (not stretchy, i.e. jersey) wraps are even better if you are up for learning how to tie them. Nice thing is the fabric can spread out over the shoulders more broadly, so that the pack/baby carried strap overlap is less of a deal. Wraps are kinda like the flat tarps of the baby wearing world. Hey, Katherine! Definitely do what you think is best in your situation. I’m not sure having your kid cary their own gear necessarily takes away the fun, but it definitely depends on your kid, your trail, and the goal of the trip. My 4yo wanted to carry more, so we put stuff like the sleeping pad and bandanas on her pack. I’m not in love with wraps, but if that’s your go-to, more power to you! I would love to see more pictures of your carrying / packing set up! Due in January and I don’t want to miss a beat come spring! Hi! I’ll work on finishing up a post on our trip/gear 🙂 newborns are such great hiking partners!